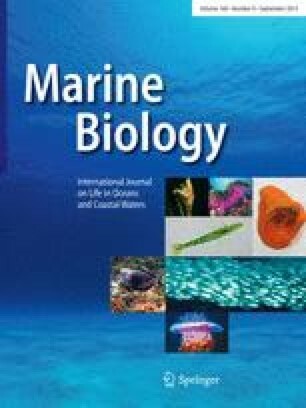 Ammonium concentrations of ∼1 M are commonly cited as being the threshold for inhibition of NO3 − uptake, but the applicability of this threshold to phytoplankton from different taxonomic classes has rarely been examined. Additionally, little is known about the influence of environmental variables (e.g. growth temperature) on the interaction between ambient NH4 + and NO3 − uptake. Four species of estuarine phytoplankton, two diatom [Chaetoceros sp., and Thalassiosira weissflogii (Grunow) Fryxell et Hasle] and two dinoflagellate [Prorocentrum minimum (Pavillard) Schiller, and Gyrodinium uncatenum Hulburt], were grown on NO3 − at several different temperatures (4, 10, 15, or 20 °C), and the impact of NH4 + additions on NO3 − uptake/assimilation (non-TCA-extracted) and assimilation (TCA-extracted) was assessed. For all species at all temperatures, NO3 − uptake/assimilation and assimilation rates decreased in a roughly exponential manner with increasing NH4 + concentrations but were not completely inhibited even at elevated NH4 + concentrations of 200 μM. Estimated half-inhibition concentrations (K i) were significantly greater in the diatom species (mean ± SE; 2.70 ± 0.67 μM) than in the dinoflagellate species (1.26 ± 0.55 μM). Half-inhibition constants were positively related to temperature-limited relative growth rate although not significantly. The observed inhibition of NO3 − uptake and assimilation, as a percentage of NO3 − uptake in the absence of NH4 +, averaged about 80% and ranged from 49 to 100%. For all species, a significant (P < 0.001) positive correlation was found between percent inhibition of NO3 − assimilation and temperature-limited relative growth rate. Two experiments on Chesapeake Bay phytoplankton during an April 1998 diatom bloom showed that in short-term (∼1 h) temperature manipulation experiments, percent inhibition of NO3 − uptake/assimilation was also positively related (P = 0.05) to experimental temperature. The observed relationships between temperature-limited relative growth rate and percent inhibition of NO3 − assimilation rates for the species tested suggest that at the enzyme level, the inhibitory mechanism of NO3 − assimilation is similar among species, but at the whole cell level may be regulated by species-specific differences in the accumulation of internal metabolites. These findings add not only to our understanding of species-specific variability and the role of growth temperature, but also provide additional data with which to evaluate current models of NH4 + and NO3 − interactions.